Zumba Cruise 2019 Frequently Asked Questions. Use code 17136 for a $25 onboard credit! Question: Where/how do I book my cruise? Question: Is the Zumba Cruise for Instructors only? Answer: No, It is for EVERYONE! Zumba Instructors, Non-Instructors, Husbands, Wives, Kids, parents. Everyone is invited to attend and join the fun! 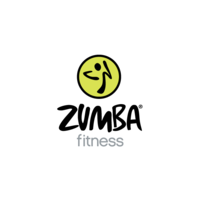 Answer: Yes, if you are a Zumba Instructor and know your ZIN code then you will receive 10% off. Question: Can one person book the room for everyone in the same cabin? 6.) credit card information (optional), all members will have 24 hours to call in by themselves to add their credit card information. Question: What are the ages of attendees on the cruise? Answer: All ages! Many attendees in their 20s, 30s, 40s, 50s, 60s, 70s and 80s! Question: Where does the ship sail from and what are the ports of call? Answer: The ship sails from Miami, Florida and the ports of call are Freeport, Bahamas and Labadee, Haiti. 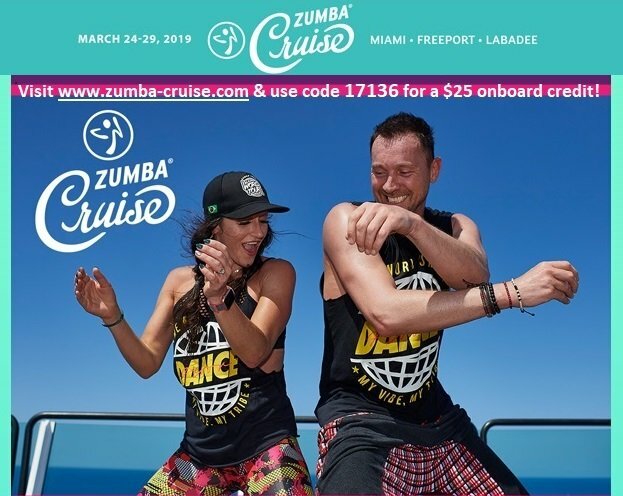 Question: Which cruise line & ship is the Zumba Cruise? Answer: Royal Caribbean Cruise Line Navigator of the Seas. Answer: Prices start at $728 per person for a group of 4 sharing an inside room. Port Charges, taxes and fees (including gratuity) are extra. Taxes approximately $145.59 and gratuity $72.50. Question: Is there any advantage to booking early? Answer: Yes, the less expensive rooms typically fill up first. Question: Do I have to pay for the entire cruise in right away? Answer: No. You can book your cruise with a $200 deposit and then choose how to pay the remaining balance. (by installments or monthly). Question: Does it cost extra to attend Zumba Classes on the cruise? Answer: No, All Zumba Classes are included!